The Mac Mini is wonderfully small so why waste precious desk when you can simply mount the computer on the back of your monitor? The idea is nothing new, but Sonnet’s system works worth the update Mac Mini. 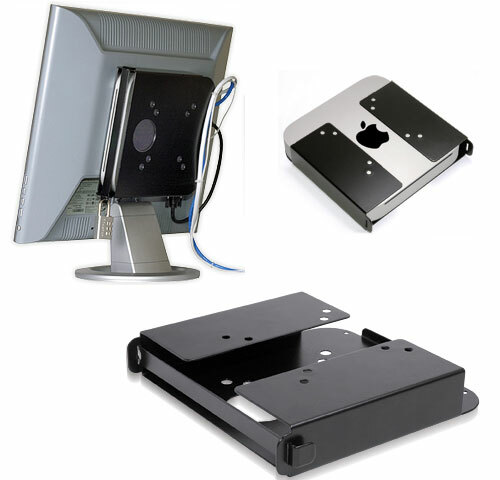 The mounting system attaches to the rear of your monitor using the VESA mounting points, but is designed to provide full access to the Mini’s optical drive, SD card slot and all the rear ports. It even comes with shorter cables so you’re not defeating its purpose by using the standard length cables. $60 when it drops this September.